Make this year's Christmas dinner an event to remember by making a paper bag album dedicated to your family's favorite recipes. We may never gather together like this again, so this year take time to have everyone write down the recipes that everyone loves so much. Then you'll have them all in one place for future reference. 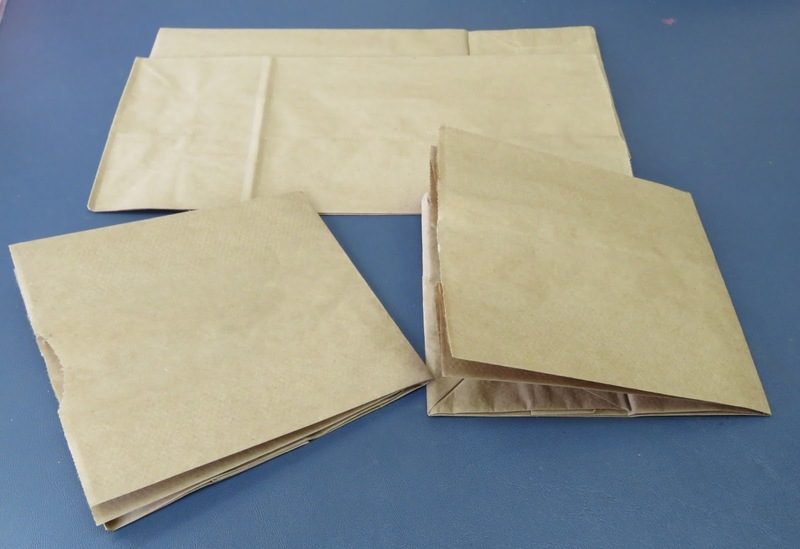 Start with four plain brown paper bags. Fold each one in half and crease it really well. 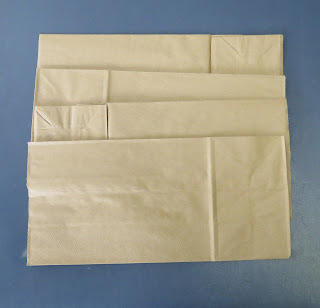 Then alternate the open ends back and forth so the openings and the folded bottoms are spread evenly throughout the pile. When you finish this part, it should look something like this. 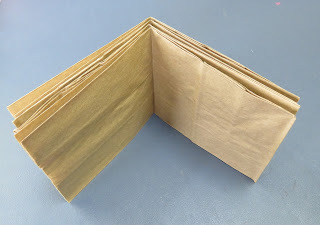 Before you do anything else, cut paper to fit each full page, flap and partial page. It's much easier to put all the paper on first before you go back and embellish. 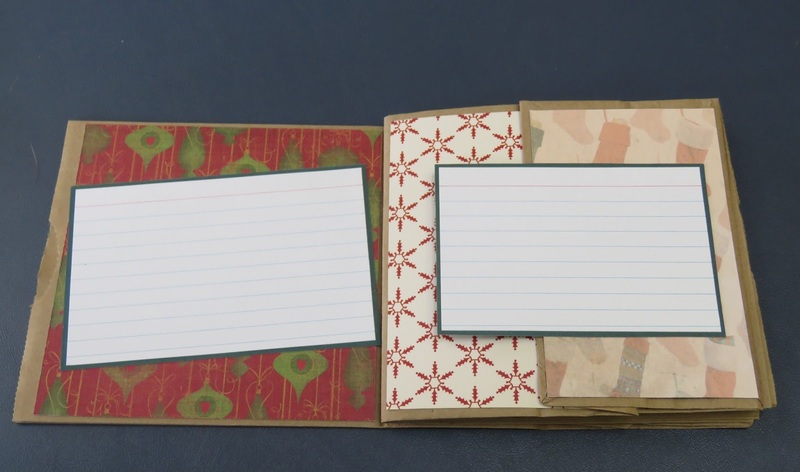 Use index cards for your recipes, matting each one on coordinating card stock. 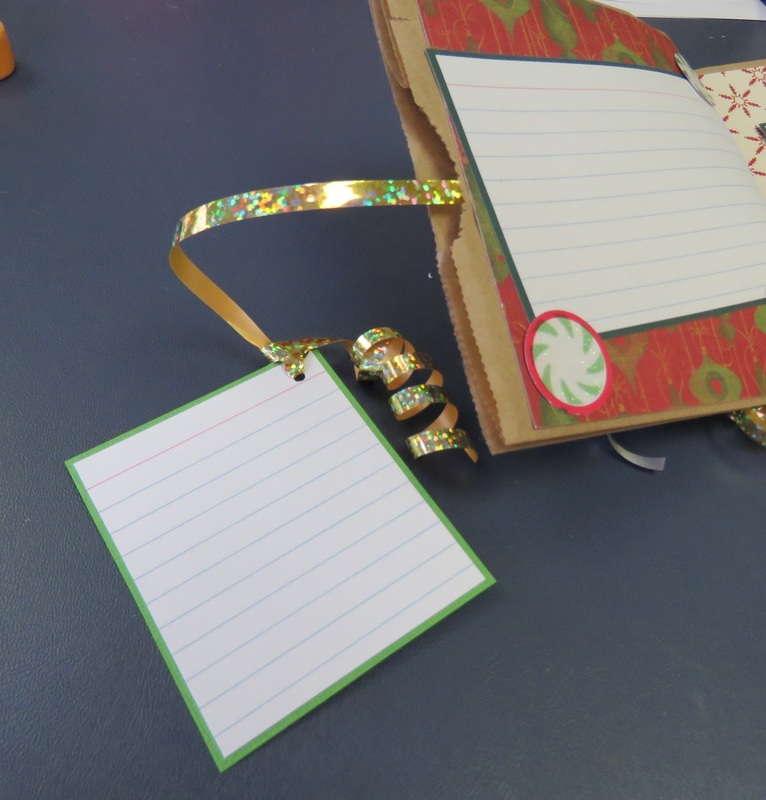 Only tack down half of the card on the sides with flaps, like the left side pictured here. 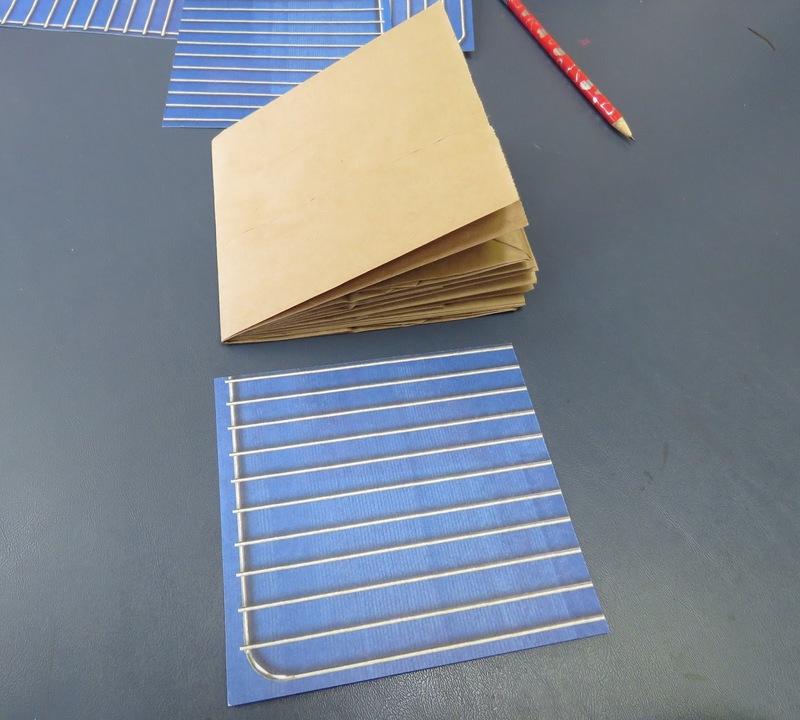 Then punch holes through the entire book and add large book rings. Print out a title from your computer's word processing program or use letter stickers, punched letters or any other favorite technique for your cover. Now you can go back through and embellish to your heart's content. I used punched candies from a piece of glittered, patterned paper. Leave some of the pages blank in case you want to add pictures or longer recipes. Attach ribbon to the inside of each bag's opening with tape. 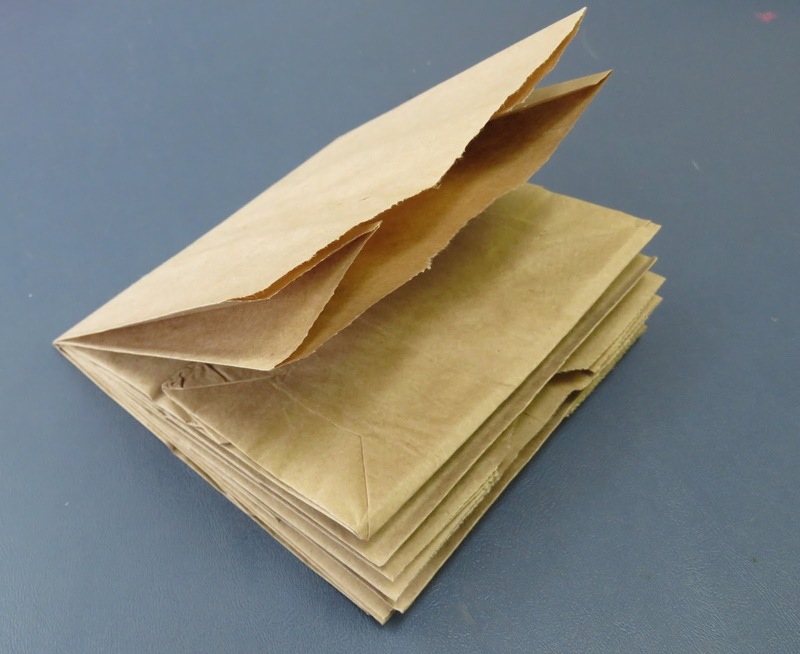 Then tie on smaller pieces of index card and slide them into the bag. You can use these for photos, memories or additional recipes. 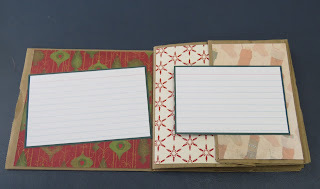 Finally, add your favorite fibers to the book rings to cover them and make it even more festive. I used curling ribbon, like you'd use on Christmas packages, and cut each one extra long so there would be plenty for curling.